Analysis of every prosecutorial abuse, from the initiation of a criminal investigation through the post-conviction phases. Foreword by Alan M. Dershowitz, Harvard Law School. We've all encountered prosecutors who are only interested in improving their "conviction scorecard" and regularly tread on the Bill of Rights in the name of their own ambition. The Duke Lacrosse Team case and the recently dismissed prosecution of U.S. Senator Ted Stevens are merely emblematic of the kind of prosecutorial abuses that have long plagued our system of criminal justice. In the wake of scandals such as Enron, KMPG, ImClone and WorldCom, lawmakers continue to give federal and state prosecutors expanded, unbridled power to investigate and prosecute, fueling this ambition and encouraging prosecutorial abuse. 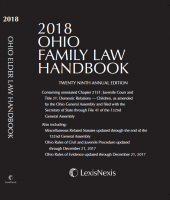 Now, Philadelphia lawyer Joseph F. Lawless, a former Assistant District Attorney, Special Prosecutor and active criminal defense lawyer, gives you the benefit of his 32 years of experience to help protect your clients from prosecutorial misconduct with this authoritative and practical work. 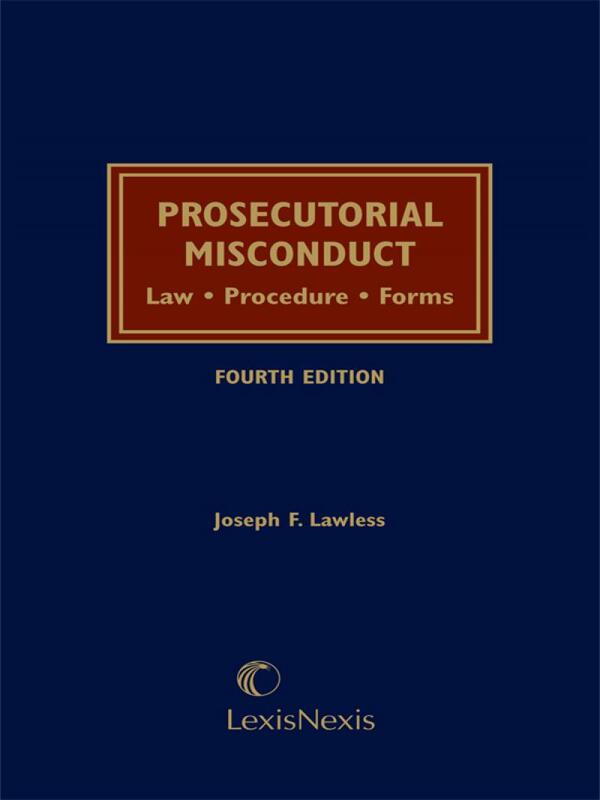 Considered the definitive treatise on the subject, this newest edition of Prosecutorial Misconduct provides a comprehensive and scholarly analysis of every prosecutorial abuse, from the initiation of a criminal investigation through the appeal and post-conviction stages for both federal and state jurisdictions. Unlike other works, however, Prosecutorial Misconduct also provides the defense bar with proven battle plans. • the Doug Gilmore NHL extortion case. • the White Collar Crime Penalty Enhancement Act. 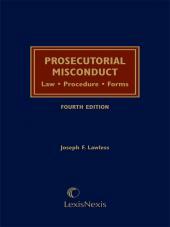 Prosecutorial Misconduct sets out innovative, aggressive strategies developed in the crossfire of the courtroom by accomplished, successful defense lawyers, and is a must for every defense lawyer's library. "Joe Lawless is what great trial lawyers are made of and he's written an important book - you bet I use Prosecutorial Misconduct." "Probably the planet's expert on prosecutorial misconduct." Joseph F. Lawless maintains a national practice focused on white collar criminal defense and complex civil litigation based in Philadelphia, Pennsylvania. He has successfully represented corporate and individual defendants in grand jury investigations, at trial, and on appeal in federal and state courts, on charges ranging from bank fraud, bribery, government contracting fraud, racketeering, public corruption, extortion, health care fraud, securities fraud, violations of the False Claims Act, the Foreign Corrupt Practices Act, and perjury to murder and other crimes of violence. He also represents clients before Congress and other government agencies. Mr. Lawless was a member of the defense team for former NBA All Star Jayson Williams in his 2004 trial on homicide charges. In Thompson v. Connick, Mr. Lawless appeared as plaintiff's sole expert witness on criminal defense and prosecutorial misconduct issues. The February 2007 trial resulted in a $14.5 million jury award for a former death row inmate wrongfully convicted of murder and later exonerated. On December 19, 2008, the verdict was upheld by the United States Court of Appeals for the Fifth Circuit. Mr. Lawless is past Chair of the Criminal Law Section of the Association of Trial Lawyers of America, Assistant District Attorney in Chester County, Pennsylvania, and Special Counsel to the Pennsylvania Judicial Inquiry and Review Board in the investigation and prosecution of a sitting Pennsylvania Supreme Court Justice. He also served as a Mental Health Hearing Examiner for the Court of Common Pleas of Delaware County, where he heard and adjudicated petitions for involuntary treatment under the Pennsylvania Mental Health Act for five years. Mr. Lawless was also elected to and served two terms as a Delaware County Judge of Elections. Equally adept at trying criminal and civil cases, a federal district court opinion recently lauded his "extensive trial experience and outstanding trial skills." Mr. Lawless has authored numerous articles and is a frequent lecturer on criminal and civil trial techniques and tactics and is considered one of the foremost authorities on prosecutorial misconduct in federal and state criminal prosecutions. He appears as a legal commentator for CNN, Fox News Court TV/TruTV, and WWRL-AM radio, New York. He is a regular guest on Nancy Grace and The Lineup with Kimberly Guilfoyle and appears on Hannity & Colmes and Geraldo at Large. Mr. Lawless is a 1976 graduate of Villanova University School of Law and a 1973 graduate of St. Joseph's University. 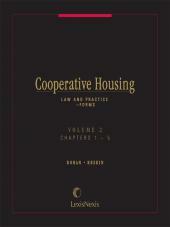 Mr. Lawless is grateful for and continues to welcome contributions to this treatise. His e-mail address is jlawless41@gmail.com .